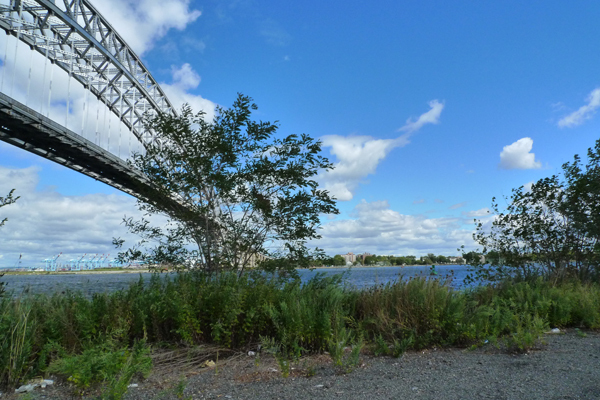 Is Bayonne Bridge Project Unearthing Harmful Radiation? 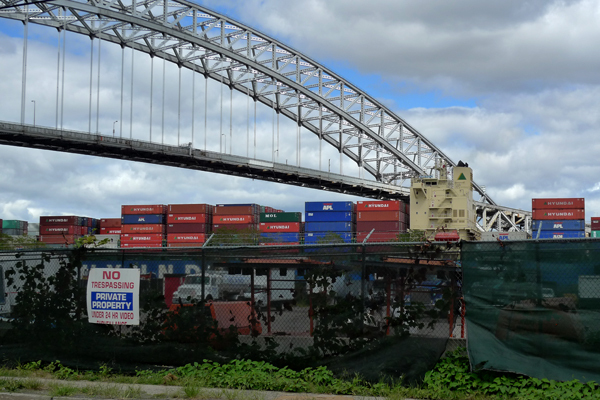 1 Comment on Is Bayonne Bridge Project Unearthing Harmful Radiation? Below is a study conducted by a group of scientists in 2010. 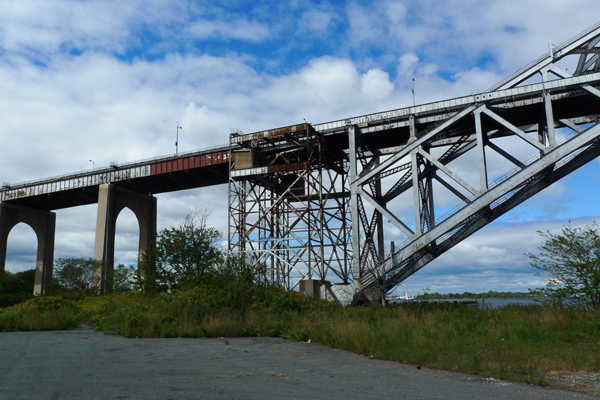 We stumbled upon these findings in our research about the Bayonne Bridge project. The last of the Bayonne Bridge pillars on the Staten Island side is buried in what used to be a uranium storage facility during World War II. Scientists used the uranium in this facility to conduct the Manhattan Project. The site that stored the uranium was tested in 2010 and showed 200 times more radiation levels than normal. A study was never done by the Port Authority of New York and New Jersey about the potential hazards of digging up this radioactive site. The question remains, is this site safe to dig up? The study we have cited for this article is listed below. 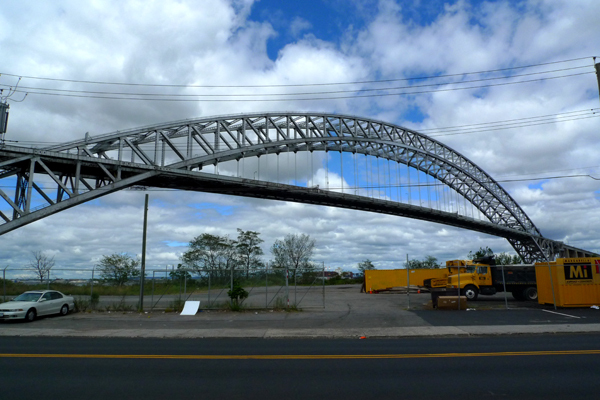 The Bayonne bridge is the fourth longest steel arch bridge in the world, and was the longest at the time of its completion in 1931. It connects Staten Island to New Jersey. 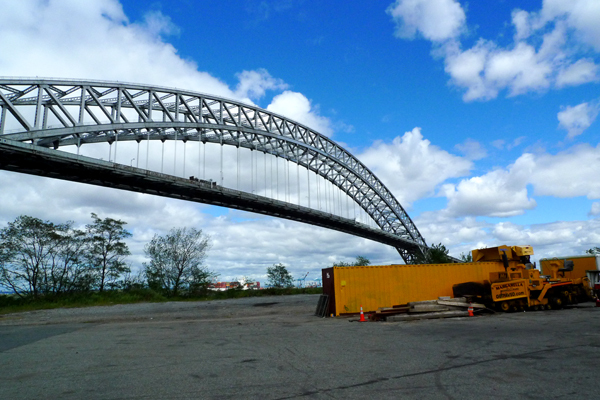 Last week FOP headed for the Bayonne for our Geologic City project, but we hadn’t come to document the bridge. In 1938, a three story Archer Daniels Midland Company warehouse stood in the shadow of the Bayonne with an address of 2377-2387 Richmond Terrace. Typically the warehouse stored vegetable oil. That year the buildings took on a new purpose when a ship carrying 1200 tons of raw uranium ore from the Belgian Congo unloaded 2,007 steel drums into its secret Staten Island destination. According to Waterwire, not even the Staten Island Borough President at the time knew of its arrival. The Staten Island uranium warehouse was arranged by Edgar Sengier. 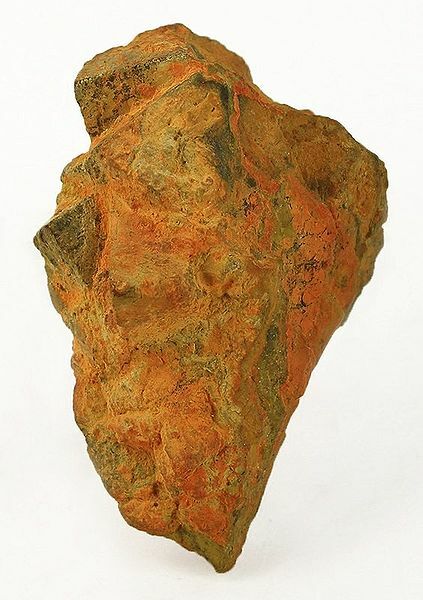 Sengier was a Belgian businessman and director of Union Minière du Haut Katanga, a company that owned the world’s largest uranium mine in the Belgian colony of Congo called Shinkolobwe. 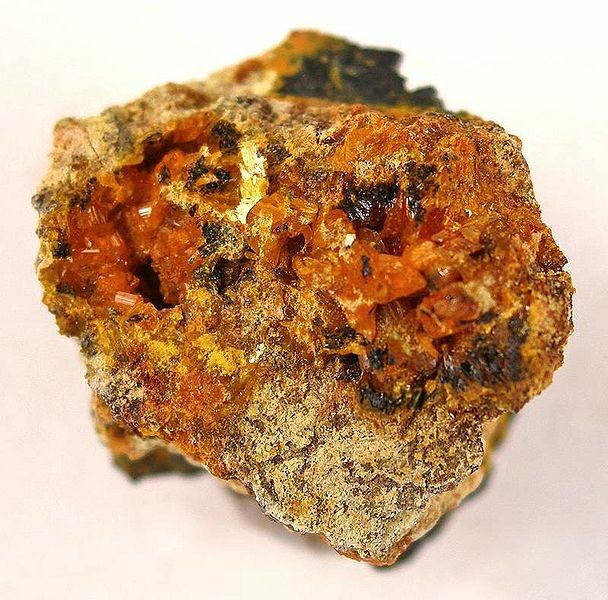 Sengier had been buying uranium since the start of tensions in Europe, sensing that the material would be critical in the development of atomic weapons. His personal uranium stockpile remained hidden on Staten Island for three years before it was purchased for Manhattan Project in September 1942. It was then shipped to Los Alamos by train. Sengier later became the only non-US citizen to win the Medal of Merit award from the United States for “services in supplying material.” It is this material that brought FOP to Staten Island last weekend. The Staten Island warehouse was just one of many sites in New York City strategically important to the Manhattan Project. Due to the massive quantity of radioactive ore stored there, the warehouse stands out for FOP in the City’s geologic history. This piece of land acted as a strategic transfer station in the extraordinary unfolding of events that re-shaped global politics and human life during the 1940s and long after. It was this very ore, stored on Richmond Terrace, that humans took up and transformed into an atomic weapon to be dropped on Hiroshima. The warehouse was destroyed after the war, but the legacy of the Shinkolobwe uranium continues to shape life on Staten Island today. Unlike most sites connected to our nation’s atomic past, the Staten Island Warehouse hasn’t made it onto the list of sites to be managed by the Department of Energy’s Office of Legacy Management. It made it only to the “not transferred” list. In 2008, the Environmental Protection Agency visited 2351 Richmond Terrace, the address right under the bridge, and found more than 200 times the uranium radiation level required to trigger a cleanup. The area reportedly became a superfund site in 2009, though FOP was unable to locate any information about the status of the project on the EPA website. Site assessments for clean-up by the Army Corps of Engineers supposedly began in January, 2010. Today, there’s little to see along this stretch of Richmond Terrace. 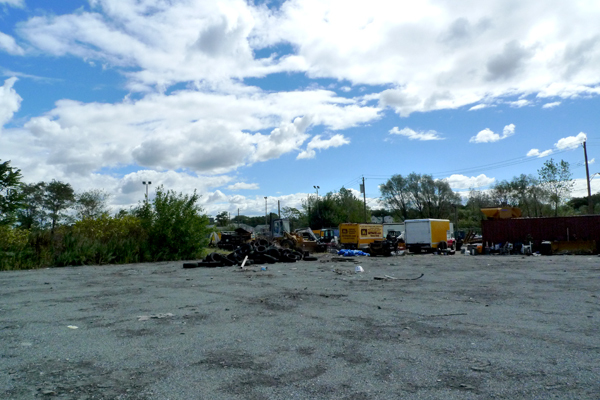 A couple of abandoned trailers and a pile of old tires litter a vacant lot shared with a local paving company. The gate was open on the day of our visit so we walked in and took a look around. Any signs of an active clean-up were invisible to us. A report from NY 1 dating to April 2010 describes the clean-up, now more than 70 years after the arrival of the uranium, as still being in the “preliminary assessment” stage. Remarkably, the site of the former warehouse is directly exposed to an active waterway, the Kill Van Kull, a tidal strait that runs between Staten Island and New Jersey. Massive ships navigate this waterway daily, which is one of the most heavily traveled in the Port of New York and New Jersey, providing passage between Upper New York Bay and northeastern New Jersey. The Kill Van Kill also provides principal access for ocean-going container ships to Port Newark-Elizabeth Marine Terminal, the busiest port facility in the eastern United States. 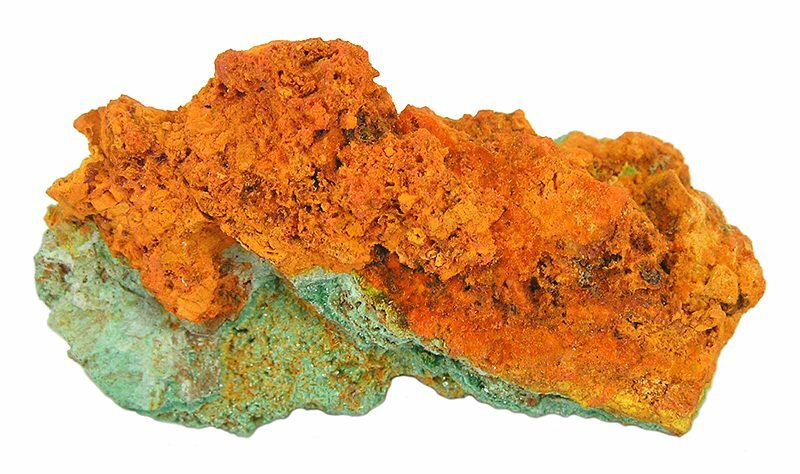 Our geologic tracing of the uranium that apparently continues to contaminate this edge of Staten Island took us to the Shinkolobwe mine in the Katanga region of the Democratic Republic of the Congo. The mine closed officially in 2004, but nuclear smuggling and mining on behalf of North Korea for the development of nuclear weapons seems to be an ongoing concern. 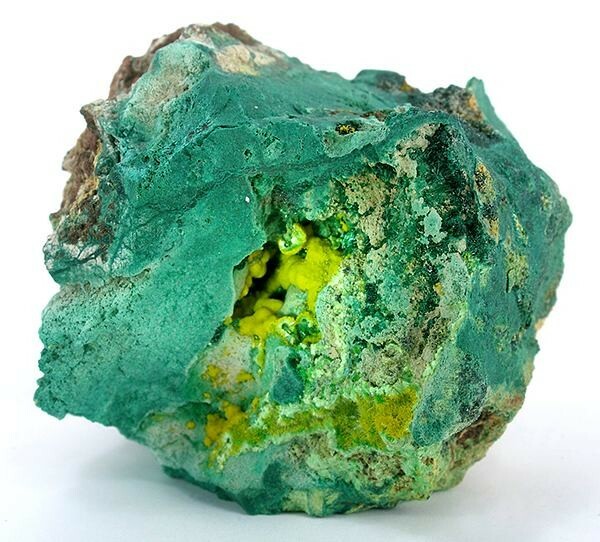 Uranium, the element (92 on the periodic chart), formed in supernovae about 6.6 billion years ago. It is another example of “pre-Earthian” materiality. 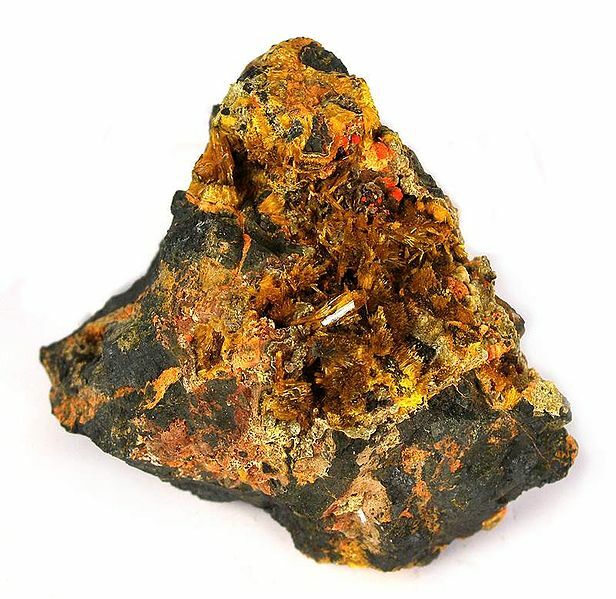 Natural uranium found in the Earth’s crust is mostly a mix of two isotopes, uranium-238 (U-238) and uranium-235 (U-235). When sufficiently concentrated, uranium-235 can maintain the sustained chain reaction necessary for nuclear power and nuclear weapons. We couldn’t help but appreciate the safety yellow of the paving company equipment as a metaphorical stand-in for the uranium that is still present at the site. It was a mind-bending, to say the least, for us to discover traces of our nation’s potent atomic past precariously exposed within our own city limits — in 2010. And especially so, given that we’ve traveled to far-flung, high-security sites such as Los Alamos and the Nevada Test Site seeking the roots of our country’s nuclear history–while they also existed right here, behind an open gate in what is essentially our backyard. While standing at this tainted edge of Staten Island, we took a moment to consider the thread of connection that uranium is, running between this spot in Staten Island, the Shinran statue in Uptown Manhattan, the mesa of Los Alamos, NM, the Enola Gay hangar at Wendover Airfield, NV, the Nevada Test Site outside of Las Vegas, the mine in the Democratic Congo, cities of Hiroshima and Nagasaki, Japan–and the pre- and post- history of human existence on this planet. The waterway that is mentioned in this piece in named “Kill van Kull” not Kill van Kill.